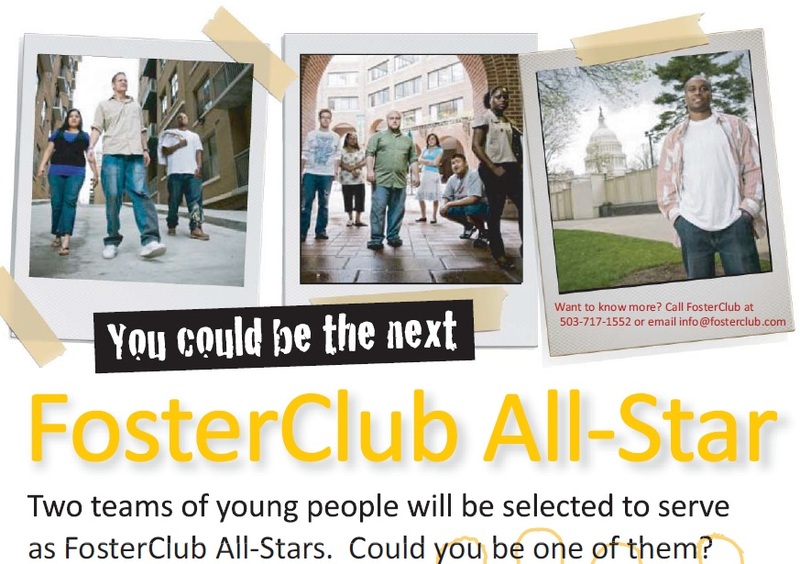 FosterClub All-Star internship in Seaside, Oregon! 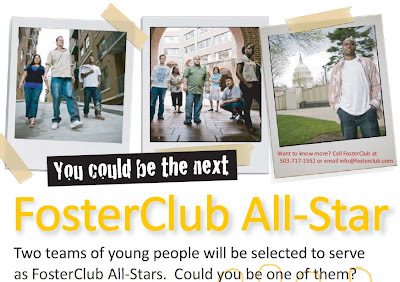 FosterClub, the national network for young people in foster care, is pleased to announce they are taking applications for the 2013 All-Star program! Every year they select 20 young people from around the country who have personal experience in the foster care system to intern in Seaside, Oregon. FosterClub helps open the way for young people in care to transform their lives and provides a forum to raise their voice. Those members engage with peers and gain control through support, skill building, and healing opportunities. FosterClub's young leaders will achieve impressive levels of success as they demonstrate remarkable resilience. 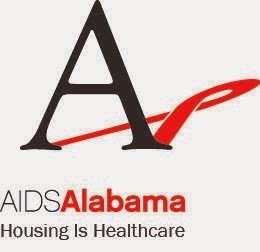 The All-Star program can give youth real life opportunities to become heroes as they reach out to improve the foster care system for their younger peers. 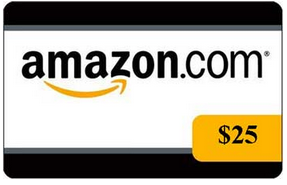 Applicants must apply before February 15th. Go to www.fosterclub.org to apply.